I/O size (minimum/optimal): 512 bytes ….. In my case I have my Windows 7 installed in /dev/sda1 partition, which might be different for other people so it’s better to check. 2. Now we need to create a custom grub script to add the Windows entry in the Grub menu. Create a file 15_Windows in the /etc/grub.d folder and add the following lines to it. “set root=(hd0,1)” , it depends on the partition where we have installed our windows on. My Windows was on my first hard disk ( the only one for that matter) and the first partition, hence hd0,1. hd0 refers to the first hard disk and 1 refers to the first partition. Edit this line to point it to the appropriate Windows partition. And there all done. The next time you boot your computer, you should see the Windows option in the grub2 menu. I found the guide originally here. I first started testing out the patterns using jquery and it was really easy getting all the information I needed. But my objective was to do this in a back end technology which would also update databases on the go. For this I turned to django/python and while I was searching for a suitable HTML/XML parser I came across the HTMLparser module. It was good but didn’t offer the power of the jquery selectors. That’s when I came across Pyquery. Its a module which offers the functionality of jquery in python. Furthermore it was created with the same mindset as mine which is missing the power of Jquery on python. It offers a similar kind of functions like jquery, not all of them yet, but a lot of them. The complete api reference is available here. e.g. the following python code would open the scorecard available here and extract the name and runs scored of the batsman batting at number 5 in the first innings . d = pq(url = ‘….. line opens the url and defines a PyQuery type object d, in this case. Now once we have defined that , d can be used just as we use ‘$’ in jquery. the name looks for the 5th entry(indexed from 0) found using the “#inningsBat1 .inningsRow” and finds the “playerName” class within it and gets the html content of the anchor(<a>) tag using the html() method. Similarly for the runs scored. 1. Subscribe to the Kde-games-devel mailing list (https://mail.kde.org/mailman/listinfo/kde-games-devel) . For those who do not know what it is, a mailing list is basically a kind of a forum where people post their queries or doubts or submit their patches. When they do that, all the people who are subscribed to this mailing list get notified by mail so that they can entertain their queries or the maintainers of the games can review the submitted patches. 2. Try to hang out in the official IRC channel (#kde-games on freenode) . You can have direct conversations with people from Kdegames here. 3. Post your willingness to contribute in the mailing list. It is more recommended than posting in the irc channel .One thing that has to be followed after posting in the mailing list is patience. People are busy and are from a lot of different time zones. They reply according to their convenience which has to be respected. After following these steps , you should get a junior job which would surely help you get familiar with the source and in general to contribution if its your first time contributing. Kdegames is a small group of developers and contributors and despite that they have done an awesome job. Although I haven’t been in Kdegames for very long but I really like this group and I would definitely want more people contributing to Kdegames which would help it become even better than it already is. If someone wants to check it out , its available at http://sourceforge.net/projects/qtquickxo . As we all know designing UIs using QML is a piece of cake. Using QML fluid and intuitive UIs can be developed with very less effort. 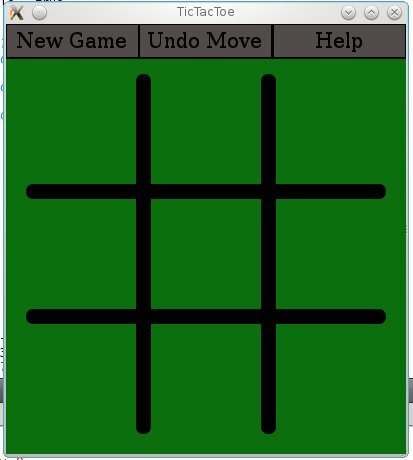 It didn’t take me long to design the basic interface of the game. But once it was done, I was faced with the task of writing the game logic i.e. how the game would react to the user interactions. I decided to write an AI class which would handle all the tasks of calculating which position to mark on the board. It models the board using a 3×3 matrix denoting vacant positions by -1, computer played positions by 0 and human played positions by 1. It has several methods at its disposal which helps it to calculate an optimum return move. 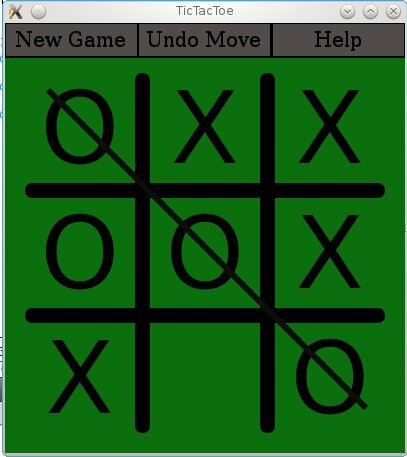 Initially I thought of going through some generic algorithms for TicTacToe and implement them in my AI class methods but as it was only a 3×3 board , and as I was focusing on the human computer interactions, I decided to go with the brute force approach. The AI logic primarily goes through the following steps in order to calculate the optimum move. 1. It checks whether it can win in the current move. 3. If none of the above are found then it checks whether the other player is trying to create a ‘fork’ i.e. whether the player is creating such a position on the board, where he can win by using two possible moves, thereby ensuring he will win the round. 4. If none of the above are true, the computer picks an empty place on the board and moves there. The above conditions are checked using simple pattern matching between sets of three positions. After writing the class, I tested it out by writing some sample code where I could test whether the AI logic is working using console input output. It took me aruond four days which included classes, interruptions from friends and delays due to the unstable internet connection at my hostel. Considering the above , I think, my first Qt Quick app got written in pretty good time :). 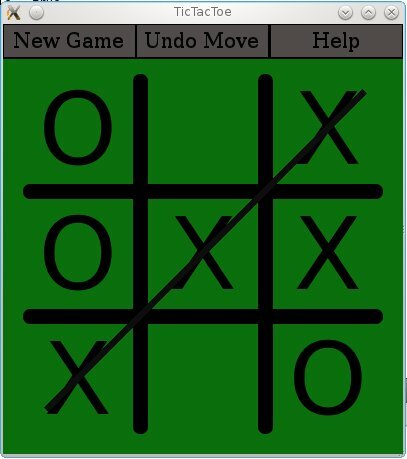 There are still some things missing in TicTacToe. The first and foremost thing is lack of proper documentation. I plan to add it very soon. I would also like to add a clock which would show how long the current round has been going on. I have plans to add a LAN multiplayer feature too but thats for later on. This year I am going to apply for Google Summer of Code popularly known as GSoC. For those who do not know what it is, GSoC is an internship program from Google where Google pays you a hefty amount to hack FOSS softwares. Can’t get any better than this right ? But this program being so lucrative attracts a lot of competition and although there are a lot of organizations who are accepted for GSoC , the number of students is large too. There are various stages of GSoC. First the organizations which want to participate in GSoC have to apply with their ideas. Google then publishes a list of accepted organizations and students can apply for GSoC for the accepted organizations only. After the GSoC student application period is over, all the mentors in a particular organization vote the proposals for their organization and send it to Google. On the basis of this vote Google selects the students who are going to be part of GSoC . My interest in contribution has always been in KDE and I am applying for GSoC for a project idea in Kdegames. The idea is “Write a Kde game using QML/Qt Quick” . I am basically going to port two existing games present in Kdegames. One is KPat, which is basically a Patience like game including a lot of variants and the other is Kigo, the Go game. These games currently use the QGraphicsView/ KGameRenderer to render their graphics and in my project I am going to design a QML based interface for both of these games and integrate the existing game play logic with these new interfaces. Using QML , the interface can be designed fluid and intuitive so that the game play experience of the user is taken to a whole new level altogether. On talking with some of the people in Kdegames like Stefan Majewsky, I came to know that there are plans of porting Kdegames to the tablet platform Plasma Active, and the interfaces designed in QML would also help when these games would be ported. Although the interface would have to be written from scratch but the design would be available without any major changes. 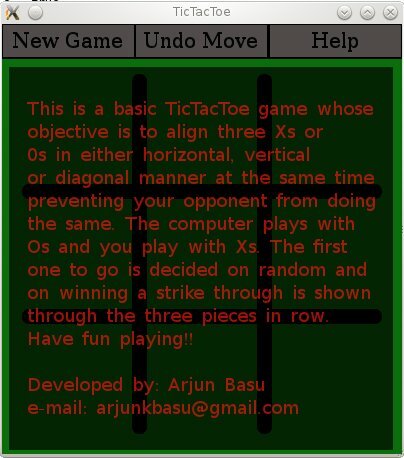 After the interface designing is over, I am also planning to write a multi player module for Kigo. Go is a very popular game in many parts of the world and the IGF (International Go Federation) has over 70 member countries. There are Internet Go Servers (IGS) where people can connect using their clients and play against other players. They also have the option of watching other games in real time. The multiplayer module would enable a player to connect to any go server using his/her credentials and play. There are some such clients available like Cgoban and Jago but they are primarily designed for Gnugo. But the good thing is there are some standardized protocols for Go like Go Text Protocol (GTP) and Go Modem Protocol (GMP). These protocols are meant to standardize the Go games so that it can be played from any system against any system without any problems of compatibility. Jago is an open sourced Go client written in Java and I am going to study its code for porting it to Qt/C++ in Kigo. I have already submitted my proposal and it is available at http://www.google-melange.com/gsoc/proposal/review/google/gsoc2012/arjbasu/1 . It would be viewable after the GSoC student application period is over i.e. fromApril 6th 2012. Fingers crossed and waiting for the fateful day April 23rd. Today , I don’t know why I felt like I should have a blog where I can write about the interesting things I find or the things I do which might be of interest to other people.About the title of my blog, I am kind of tech savvy and a little geeky kind of guy, and hence what I talk about often tends to bore people who aren’t like that. Guys like me should find some of the things at least mildly interesting, which is good enough for me. About me, I am Arjun Basu, pursuing ECE in NIT Durgapur with a keen interest in computers and computer related stuff (programming, hardware etc.) .One thing that I have to confess is that my knowledge in my field of study is poor to say the least, not because I don’t understand stuff, just that I am too uninterested to get a deeper understanding of those things.I rather study or know about stuff which I actually like and I am marginally good at like programming and related stuff. Everyone must be wondering why I am studying ECE instead of CSE , many of my friends have the same question too , and its a sad little tale meant for another time.